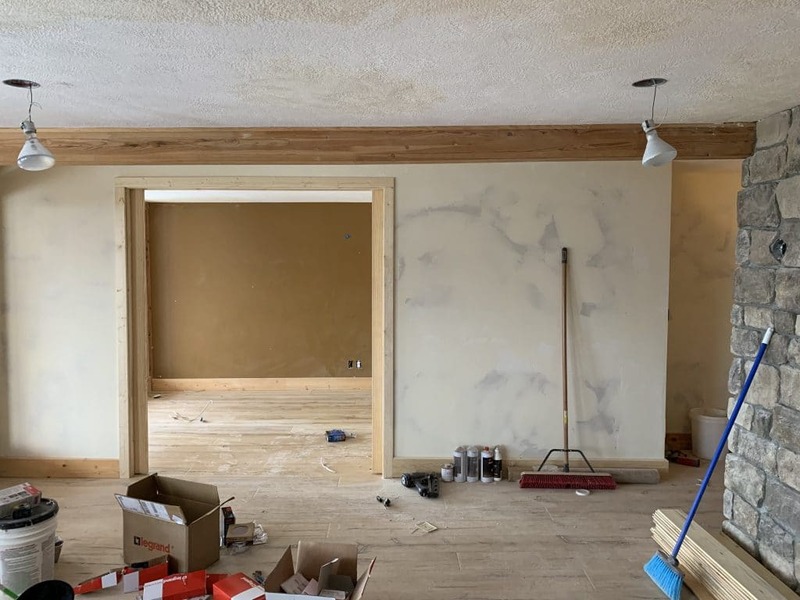 Our a-frame has undergone a lot of big changes over the last few months but perhaps the one we’re most excited about is the addition of an entire bedroom/bathroom downstairs. Not only can we sleep additional people, but this one large open space seems to have a lot more function now. The bedroom has an ensuite bathroom roughed in (we’ll be tackling that over the next few months) and a small dressing area, too. But the room itself is a modest 13×10 that’s still a yucky shade of brown. 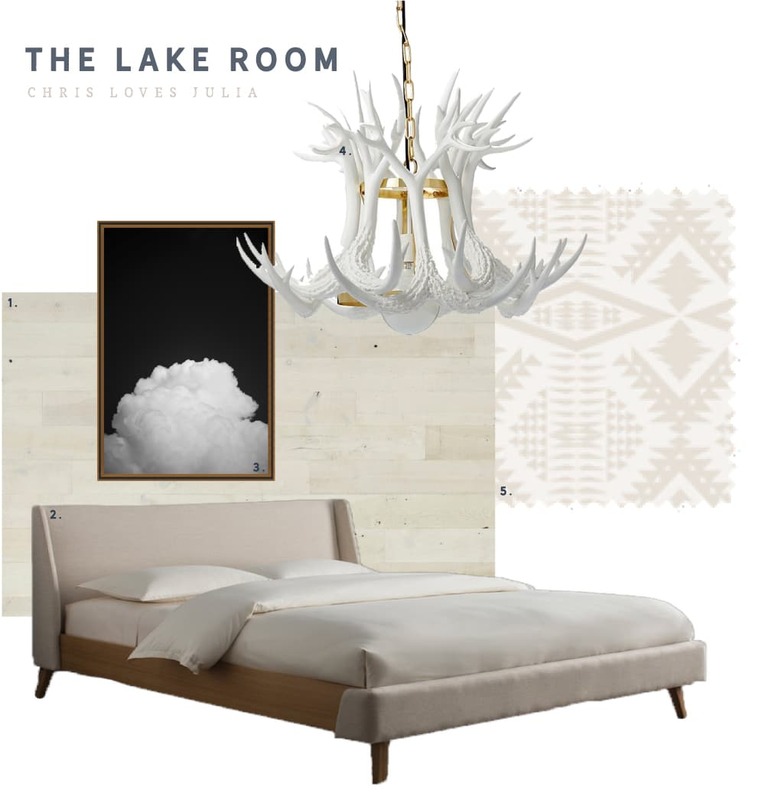 We’re calling it the Lake Room, not because it’s going to have a lake theme but because it has the most amazing views overlooking the Palisades Reservoir. I didn’t want the name to be too literal in the translation of the decor. But since the other bedrooms sport a rich toned/darker color scheme (see the forest room here and the mountain room here) I decided on a breezy tonal white with a cabin feel would be fitting for the lake room and not overpower the view. Here’s the starter mood board I put together for the space. 1. 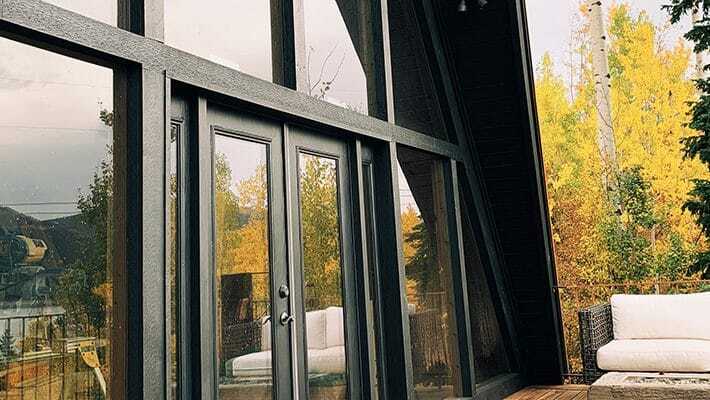 Wood : Have you heard of Stikwood? It’s a thin, real wood peel and stick product with a bunch of finishes. 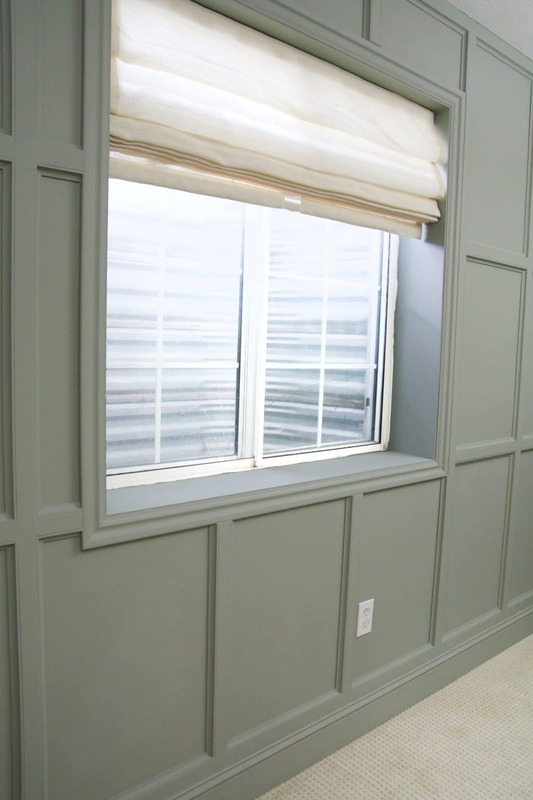 I’m leaning toward their Hamptons finish for the wall behind the bed in this room which is made up of varying white boards that will add a lot of rustic texture to the room in a fresh, modern way. 2. Bed : Over the weekend I shared a bunch of bed options from Wayfair that were on sale and we were eyeing. (You can still see them saved to my highlights here!) Most of you guessed we would go with this creamy platform bed. Like a cloud! 3. Art : Speaking of clouds, this print from Artfully walls was the first thing I bought for the whole room. I bought it, framed, not even knowing for sure where it would end up but it feels so right in the bedroom right? Sharing more fantastic art finds below. 4. Chandelier : This faux antler chandelier was on our list since we bought the cabin and this bedroom finally seems like the black to use it. I’ve actually never had the chance to use a statement chandelier in a bedroom (isn’t that weird!?) so I can’t wait to get this up and hope it’s not too big. 5. Fabric The room has a full wall of windows so privacy at night is important. I’m digging this fabric for drapes from the Pendleton x The Shade Store collection. I mentioned the art was the first thing I bought for the room and it’s also the first thing that arrived (although will likely be the last thing installed–haha). 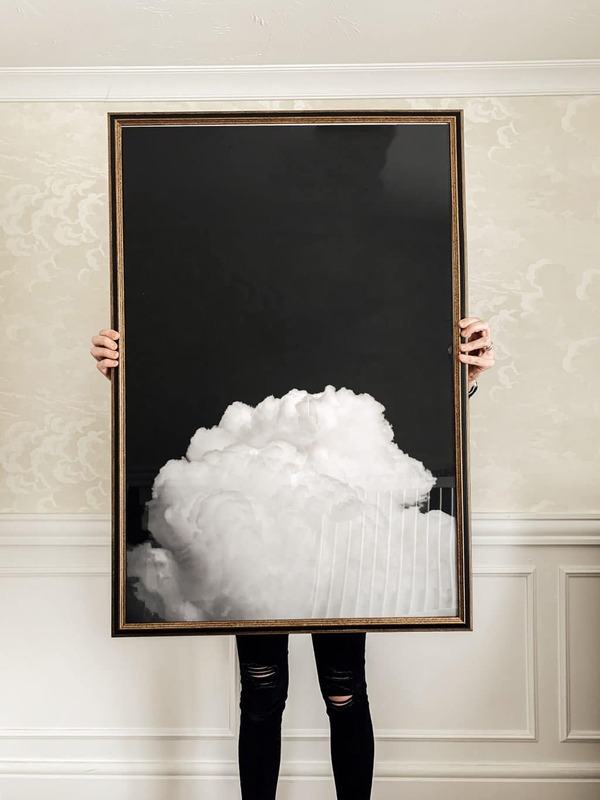 I got the largest size they offered of this Clouds II print by TAL PAZ-FRIDMAN. It has a beautiful partner print (Clouds III) I linked in the round-up below that would make a handsome duo side by side. … errr, I’m not not saying I’m ordering the other. 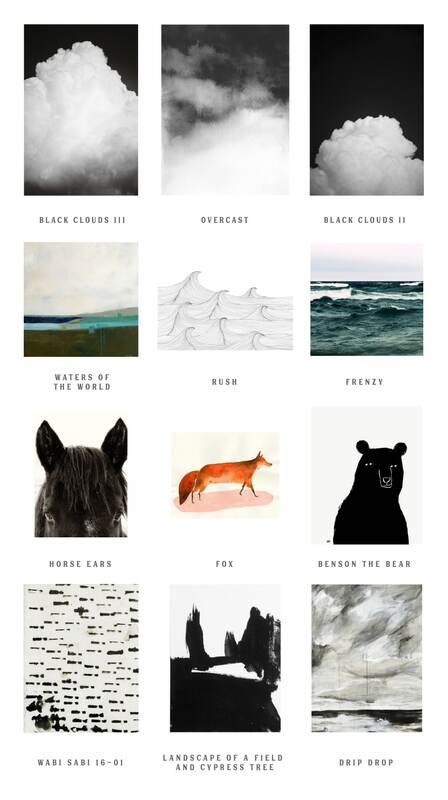 I love ordering art from Artfully Walls (remember our bedroom with an entire gallery laid out with their pieces?) because it’s hand-picked by art lovers and an affordable way to support real artists in our home. You can frame the pieces right on the site (like I did with Clouds II above–I mean, that frame! Psst. It’s their “Ornate” ) or if you are on a tighter budget, you can choose the prints un-framed and frame them yourself with a budget frame or use a cool print hanger to display. 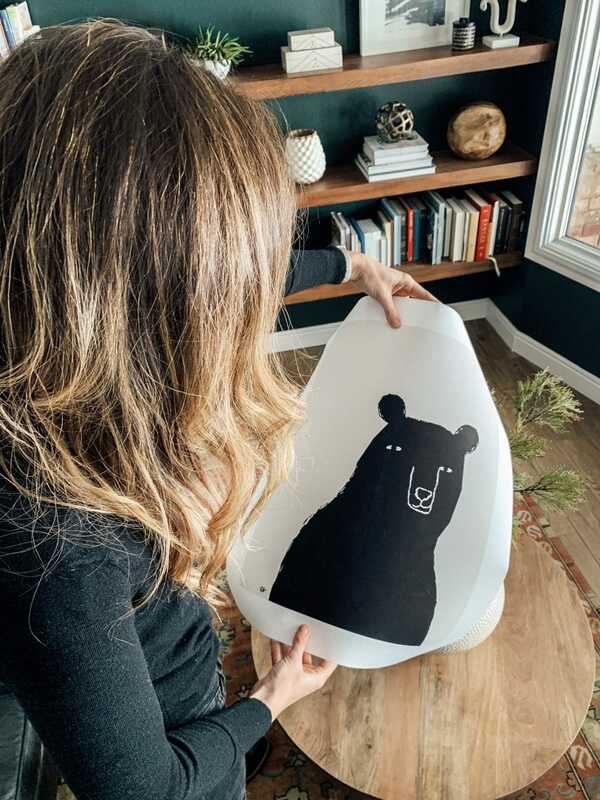 For the loft at the cabin, I also bought this Benson the Bear print by Rob Blackard in the 14×17 size. It’s such a cool piece of art that feels a little whimsical and still cabin-y. Can’t wait to hang it somewhere in the loft! Of course art is totally subjective, but I’m 100% convinced Artfully Walls has something for every style. They even have a cool app that allows users to view how entire styled walls or individual pieces of art will look on their own walls before actually placing a purchase. All it takes is a click of the “Try on Wall” Button. It really takes the guess work out of buying art. We are having the worst winter we can ever remember and the cabin has been really difficult to access as frequently as we had hoped over the last couple weeks. But it looks like there will be a break in the weather Thursday and we hope to go up and get started! Will share more soon. I have a question about accessing your light switches. Since you have double pocket doors (love this compared to a barn door)… where will your light switch go? Wanting to do this in our future home gym but worry about accessibility! We used 2x4s turned sideways for the walls (so they’re 1.5in thick), which allowed us to add a shallow junction box so we can still have the switch on the wall just inside the bedroom on the right side. I love all of your designs and I can’t wait to see how everything turns out, however, I’m also loving the process and never want it to end! My husband and I bought a gutted house a couple of years ago and plan on remodeling it. I’m dying to know what program do you use to create your mood boards??? Thank you for sharing your ideas, designs, and processes! Love your art choices! I must say I was a little worried when you called this the “lake room” but the lake view makes much more sense. “Worst winter”? Winter is SUPPOSED to be cold and snowy…enjoy! Interested in how you like the Stikwood product. We’re used to snow and cold, but man, we haven’t seen anything like this in a long time! The art is amazing! I’m curious to see the chandelier go up! Also, what happened to Boack Clouds I?! Right?! Hahaha I searched and searched. Love your mood board. You’re getting the A frame done rather quickly considering all the changes you’re making. It will be a beautiful family vacation spot for you and for renters. So sorry to hear you’re getting slammed by another medical crisis. 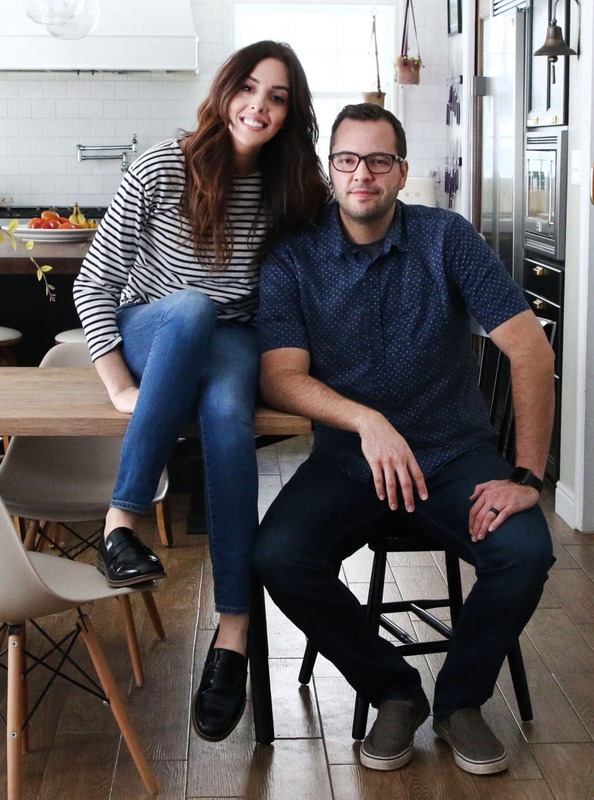 You run your own business designing and providing original content on a blog and instagram, mother of three very active girls, partner in business with your husband designing shirts, and have finished remodeling your home and are in the middle of remodeling a cabin in a remote location. Stress? Hell yeah. As far as I’m concerned, you could just feature photos of Willow running happily in the snow and I’d be content. Do please take care of yourself first. I am in love with that mood board!!! Combined with the moodiness elsewhere, it totally makes me want to stay there for a week. Housetweaking used that Stikwood product in her boys’ bedroom. 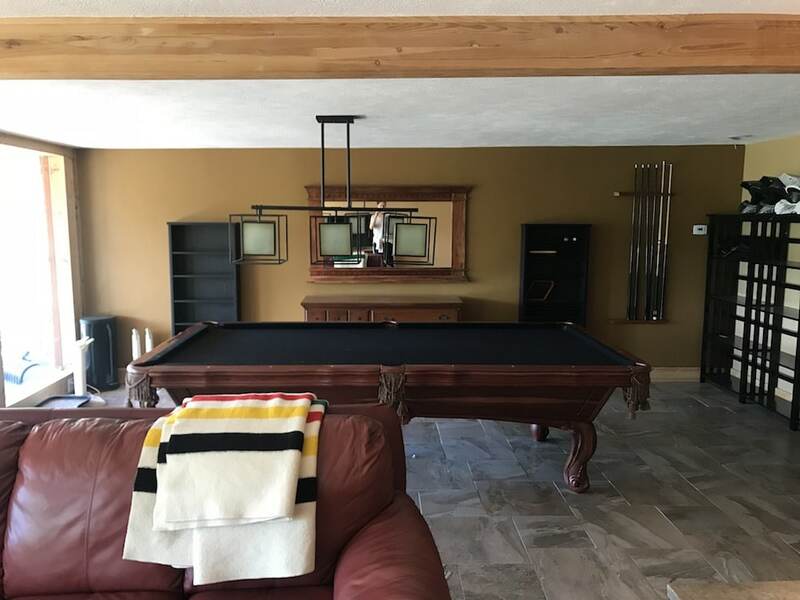 Looked great as I am sure it will at the cabin! Loooove the cloud prints! So cool and calming at the same time. PS— I hope you’re feeling better! I LOVE THIS SO MUCH!!! (Yes, I just shouted about a moodboard). I’m so excited about this room! Although, I’m confused about the peel and stick wood you are using… is this going on the floor? It seems like the other beautiful wood flooring should extend into the bedroom, no? 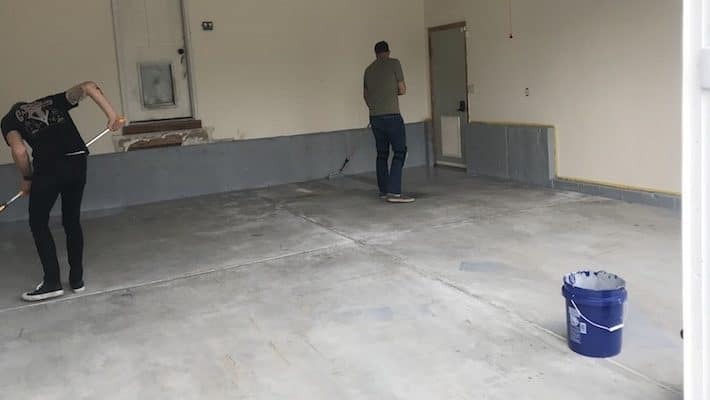 Other than that, can’t wait to see this space come together! Oh sorry if that’s confusing. It’s going on the wall! !